Nokia held a press conference today at CES to unveil the Lumia 900. The phone will be available exclusively on AT&T in the United States, no date set for Canada yet. 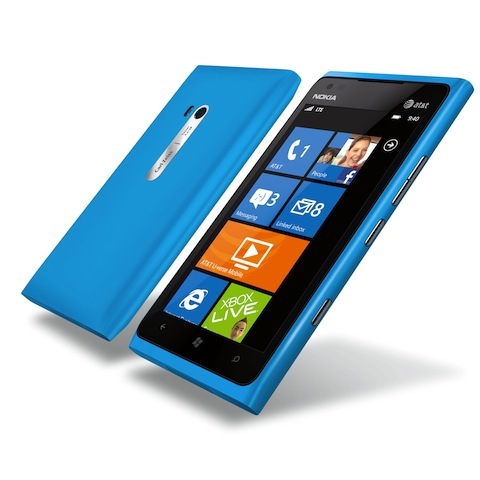 The Lumia 900 is the third in its series, the first two being the Lumia 710 and 800. However, the Lumia 900 is the first to have LTE built-in. When it comes to specs, the Lumia 900 seems to be Nokia’s attempt at making a high-end Windows Phone available in the United States. It has a 4.3-inch AMOLED ClearBlack Display that allows for the rich and bright images. Powering the device is a 1.4 GHz processor to make sure you can run all those latest Windows Phone apps. To hold that your power with this amazing screen, Nokia has included a 1830 mAH battery. The camera on the phone is 8 megapixel, Carl Zeiss optics, an aperture of F2.2, and wide angle focal length of 22mm. The Lumia 900 also has a front-facing camera for video chat.